It’s a real testament to the talented sculptors and artists working at Hot Toys that a sixth-scale action figure that looks like it’s been a child’s only play toy for ten years is one of their most desirable creations. But the company’s new Avengers: Age of Ultron Ultron Mark I is easily one of the most detailed figures the company has ever created. 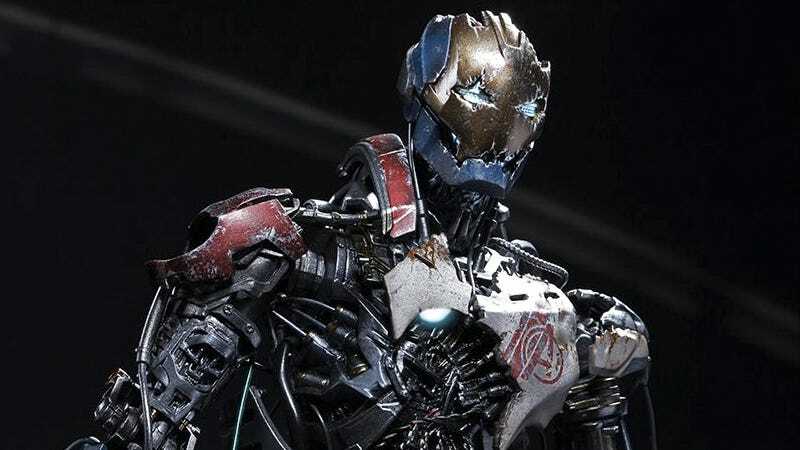 Standing just shy of 13-inches tall, the Ultron Mark I figure features 24 points of articulation, but the real star of the show is its exposed endoskeleton. Normally hidden away behind armor plating, the robot’s inner working are laid bare, exposing complex wiring, gears, pistons, servos, and hundreds of other detailed parts.